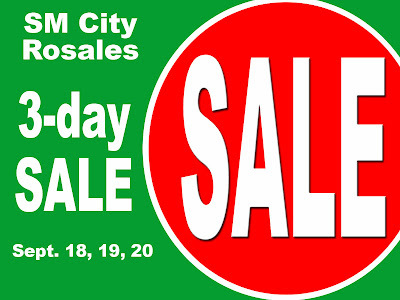 SM City Rosales will have a 3-Day Sale up to 50% off on selected items on September 18-20, 2009. SM City Rosales mall hours is from 10am - 10pm. SM City Rosales is located at Carmen East, Rosales City Pangasinan.